I’m actually on time with this month’s centerpiece! I know some people love to jump on fall themes in September but in Missouri it is often so warm that I’m not thinking about fall. This week has been quite crisp so I broke out some apples and had fun with a fall themed centerpiece. I used a basket (previously seen in my June centerpiece) and stacked some books in the center to give it some height. Then I added in a candleholder from Pier 1 and some apples. I’ll have some apple recipes coming soon as a bonus. They’re perfect for some fall freezing. 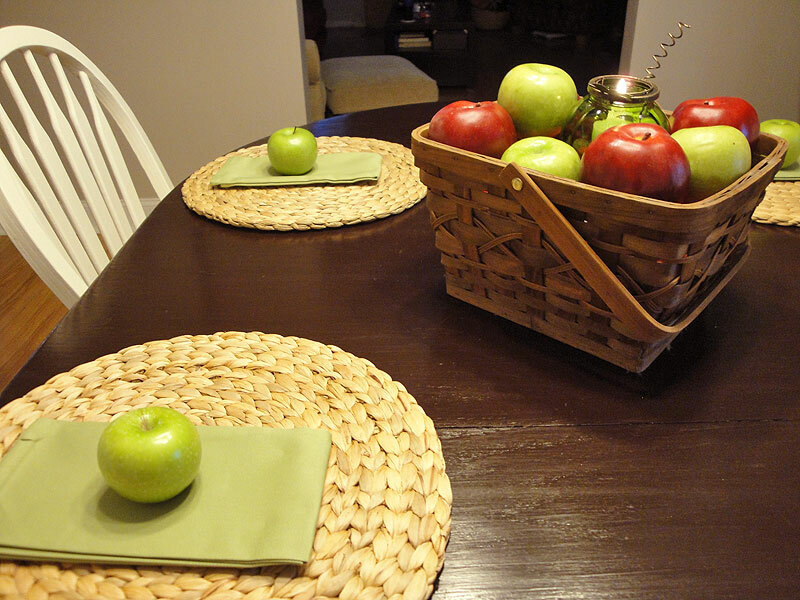 I also dressed up the table with some new napkins from Home Goods and what else- more apples. The room sure smells very fresh and crisp, just like the weather outside. 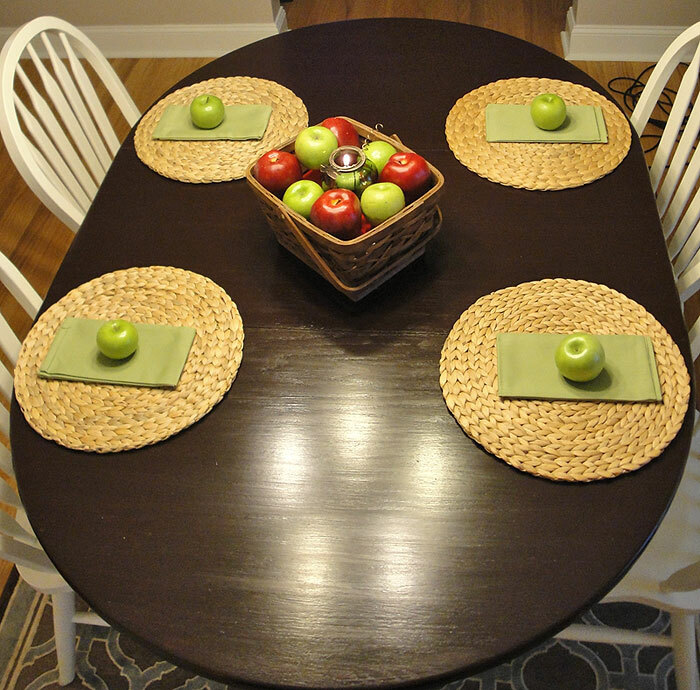 What’s on your table this fall?